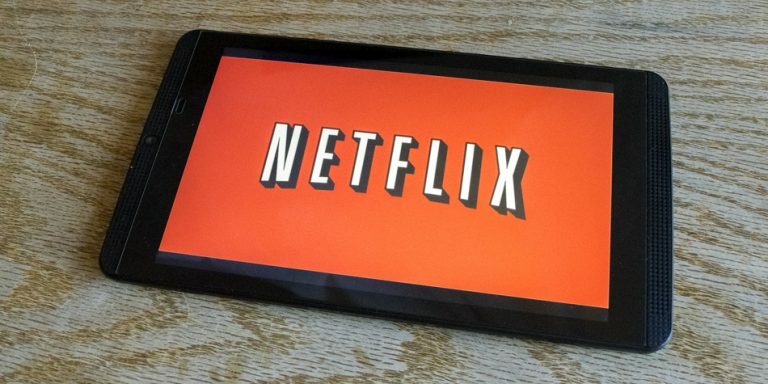 The quarterly results Netflix (NASDAQ:NFLX) posted after Thursday’s closing bell rang cold have been worse, but most investors decided they should have been better. Granted, owners of Netflix stock can be a tough crowd to please. They’ve become accustomed to not just meeting estimates, but handily topping them. When that didn’t happen by all key measures, the stock’s steep valuation and unfairly high expectations quickly turned into a liability for the company’s stock, sending it lower by 3% in Thursday’s after-hours trading action. Of course, the ever-changing landscape of the streaming video market along with a lackluster first quarter view may have nudged investors to that conclusion. For the fourth fiscal quarter ending in December, Netflix turned $4.187 billion worth of revenue into an operating profit of 30 cents per share of Netflix stock. Analysts were collectively calling for sales of $4.21 billion, versus the company’s previously-offered revenue guidance of $4.199 billion. Fourth-quarter sales were also up 27.4% year-over-year. The bottom line was down from the year-ago comparable profit of 41 cents, but better than the anticipated 24 cents. Netflix’s profits have been tough for anyone to handicap, as spending on international expansion — and the subscriber additions linked to that expansion — has varied profitability from one quarter to the next. Arguably more important to shareholders, however, was the streaming giant’s subscriber growth of 8.84 million — a record. Pros had been calling for 7.6 million new accounts, down from the 8.2 million added during the fourth quarter of 2017. The company had previously suggested Q4’s subscriber additions would also be around 7.6 million. With no margin for error on any of these criteria, relatively modest beats on a couple of fronts and tepid Q1 guidance, though, shareholders readily turned into sellers. The lackluster quarterly report comes at a time when Netflix stock owners already had much to think about, for better and worse. Earlier in the week, Netflix announced it would be raising the price of its monthly subscription cost by $1 to $2, depending on which plan subscribers currently utilize. Past price increases have been met with mixed responses, with many of them spurring a measurable slowdown in subscriber additions. But, neither revenue growth nor subscriber growth has ever slowed or contracted permanently. The competitive backdrop is different this time, however, which could finally lead to a mostly unexpected headwind. Competitors, simply put, are finally learning how to compete with Netflix, and are legitimately trying to do so. Hulu, a competing streaming platform backed by Walt Disney (NYSE:DIS), Twenty-First Century Fox (NASDAQ:FOXA) and Comcast (NASDAQ:CMCSA), just announced it had expanded its customer base to 25 million thanks to the addition of 8 million viewers last year. It’s still a fraction of Netflix’s total customer count, but it’s notable that Netflix isn’t the default go-to choice it was just a few years ago. Meanwhile, so-called “skinny bundles” that don’t offer as much variety as traditional cable television does do offer most of what viewers want to watch, continue to gain traction. Dish Network (NASDAQ:DISH) venture SlingTV, for instance, added another 26,000 users during the third quarter of last year, bringing the total headcount to just under 2.4 million. Most major cable names also now offer some sort of portable version of their service along with a respectable library of on-demand programming, if only as an effort to quell the cord-cutting movement partially driven by skinny bundles. These developments may have contributed to Netflix’s user-growth shortfall, though much of the headwind remains in front of the company. Disney is also developing a standalone streaming service that should launch later this year after rolling out a successful streaming version of its ESPN channel last year. Netflix still dominates the space, to be clear, and Netflix stock remains the only pure play for investors looking to plug into the opportunity. But, the company’s future may not be quite as heroic as its past now that the market is more saturated and competition is heating up. Of particular concern is the level of spending Netflix will have to take on in an effort to attract and retain consumers that are weighing alternatives. Last quarter’s cost of revenue was 23% higher on a year-over-year basis, reaching $2.73 billion. As of the previous quarter, a total of $19 billion in content spending commitments were already on its books. As of the most recent look prior to the company’s fourth-quarter earnings report, analysts were calling for 2019 revenue of $19.9 billion and earnings of $4.11 per share, both of which would be well up from year-ago levels. Nearer-term, analysts are expecting a per-share profit of 84 cents for the quarter now underway, on sales of $4.60 billion. The company expects per share of 56 cents on revenue of $4.49 billion. Subscriber additions for the first quarter are expected to reach, on average, 7.78 million versus 7.41 million for the comparable quarter a year earlier, though the company said in its Q4 review that it’s modeling net additions of 8.9 million. The fourth-quarter and full-year report will likely spur some changes to these outlooks, though minor ones at best. Article printed from InvestorPlace Media, https://investorplace.com/2019/01/netflix-stock-cools-down-but-it-still-dominates-the-space/.